Our customer, a UK based leading online real estate agency had challenges with their existing IT infrastructure that comprised of old technologies. 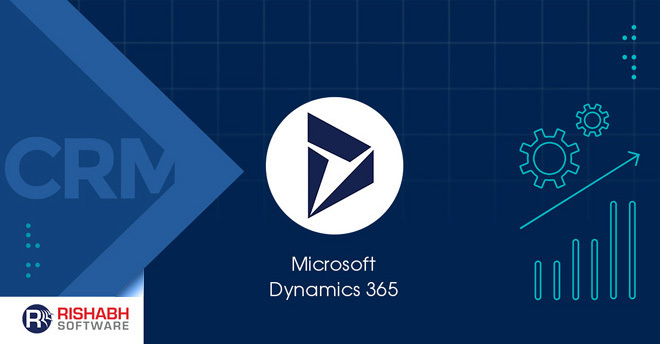 They needed help with modernizing their applications to the latest Microsoft technologies. 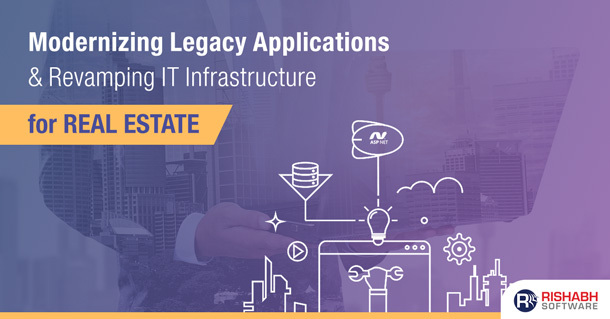 Learn how we helped them centralize their applications through a modernization approach, further, how we handled the upgrade of their existing IT infrastructure, which enabled the seamless operation of both legacy and new applications. Our customer wanted to develop an online marketplace platform to connect various retailers, vendors to sell hardware and safety products. The client wanted to implement multi-vendor portal management with various valuable features to help store owners manage the merchandise catalog, requests, invoices, obligations, supply chain, etc. in one single platform. 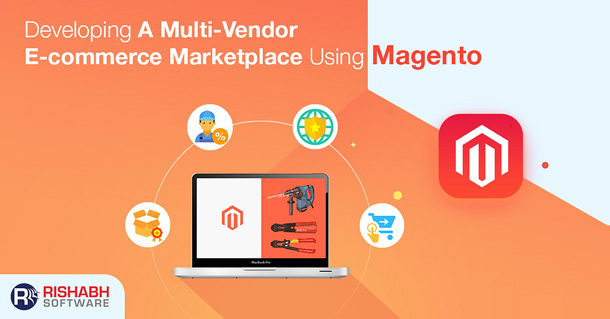 Rishabh Software leveraged Magento e-commerce platform to develop the multi-vendor marketplace solution. 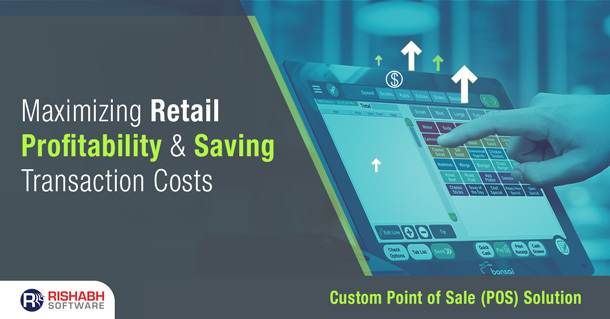 We helped our client to set up an online presence by developing an e-commerce store, and replaced the existing POS system to reduce transactional costs and maximize profitability. Rishabh Software developed the online presence through its Digital Commerce services and leveraged Magento technology. 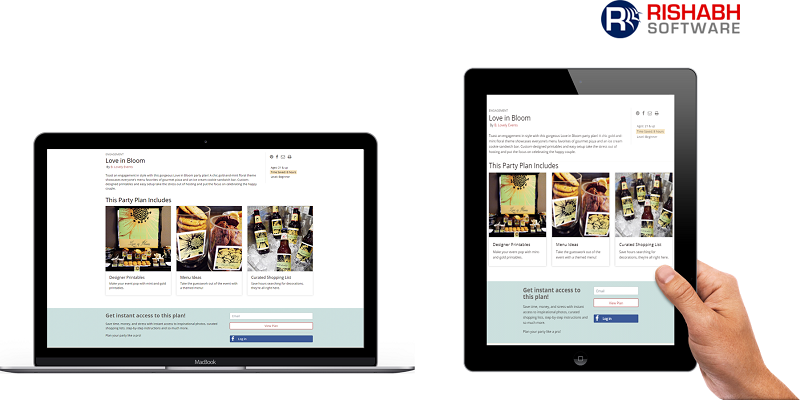 The online shop functioned as an additional sales channel and helped the client increase sales. Our Europe based out of home & digital advertising customer wanted to improvise its advertising booking process by minimizing the booking time for its various inventory located all over Europe. A proprietary booking application was used for creating millions of ad bookings at a frequency of each hour and were facing high time lag which increases the booking time to process. 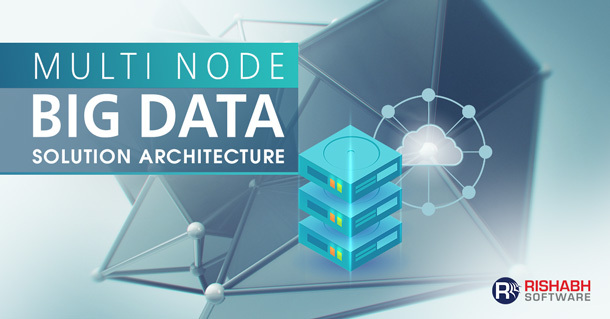 Rishabh Software was selected as the preferred Big Data Solution provider to improve its booking data processing time by developing a multi-node data architecture solution to handle millions of booking request received each hour. 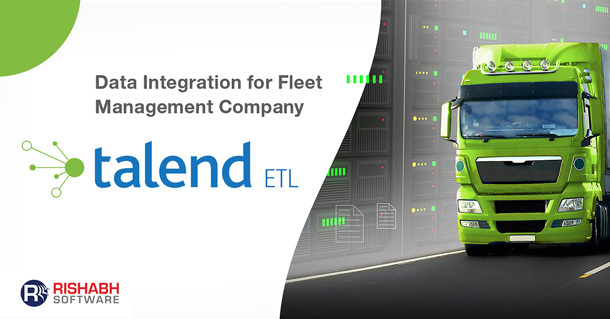 The primary objective of the Talend data integration project was to manage the real-time data by the fleet vehicles and minimize the data redundancy for generating accurate reports. The customer’s profitability or revenue was calculated based on factors like fuel consumption, driver’s payments, and maintenance of the vehicles, inventory and other essential investments. 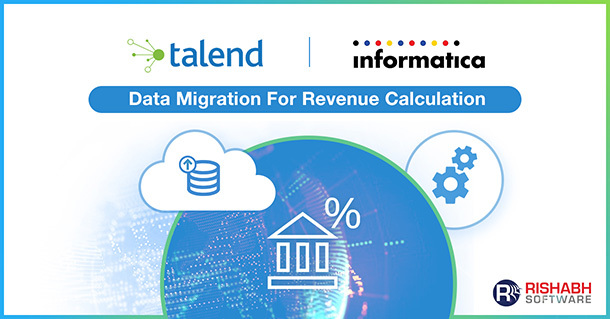 As their Talend integration partner, Rishabh Software helped streamline 7 billions of data generated every week. Also, it supported the creation of actual reports with accurate inputs for SAP Business Object. The primary objective of the customer was to get accurate sales reporting & revenue generation as per the sales KPI’s. This information was also used to calculate sales commission & compensation for the financial year. A US-based, chemical research and manufacturing company (specializing in the synthesis of renewable and bio-derived materials), wanted to streamline its sales tracking & pipeline management with automated workflows to improve its overall sales productivity. 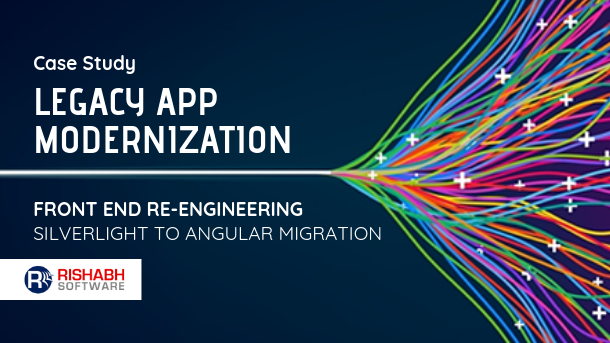 The client wanted to migrate their existing booking application built on Silverlight technology to Angular for improving application performance with engaging user experience at a reduced cost. Client wanted to re-engineer their existing healthcare portals and applications to modern technology architecture for improving app scalability, adaptability, and maintainability with faster app performance. Our end customer is a digital enterprise who wanted to streamline the welding process by leveraging digital technologies and automation. The objective was to develop WPS (Welding Procedure Specification) from a PQR (Procedure Qualification Record) automatically to abide by ASME standards. Rishabh Software envisioned the concept and automated it with a paperless workflow, using ASP.Net, MVC, Bootstrap, and Microsoft SQL Server. Client wanted to re-develop its existing newsletter design software and update the application by adding latest email newsletter features and use latest digital technology. We helped our client by modernizing its current application and aiding the marketing team in creating a useful HTML newsletter for maximizing campaign effectiveness and improving customer engagement. 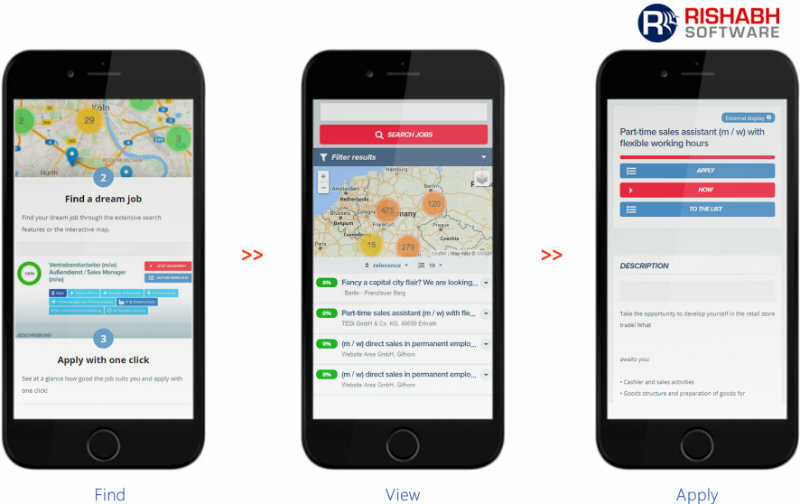 Our client had developed a mobile app to minimize the talent acquisition process, but they further wanted to enhance the existing application. After understanding the current workflow and application code structure, Rishabh Software created a structured plan to re-engineer the application and integrate the requested changes without hampering the existing functionality. We also modernized the app with in-app purchases. 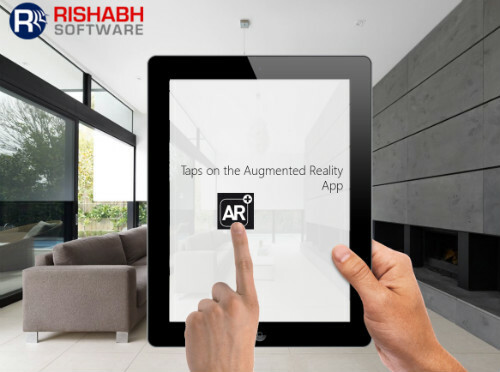 Rishabh Software leveraged OpenCV technology to develop an image-rendering app for helping customers visualize our client’s products before purchasing. The client was facing challenges in mapping its customer expectations with the production planning process. Our team analyzed the end customer’s pain areas and addressed the challenges by developing an augmented reality mobile solution. 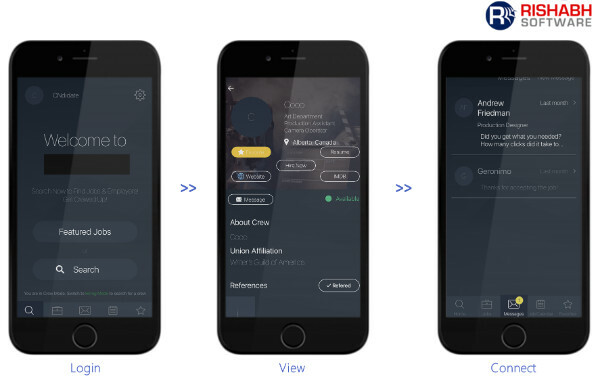 We built an omnichannel solution using OpenCV technology, which delivered engaging product visualization to the mobile app. We helped our client by developing a review and feedback product, which examines input obtained from various data sources like survey responses, social media, customer emails, call-center data and CRM systems. Rishabh Software designed and developed the product through its Product Engineering Services. 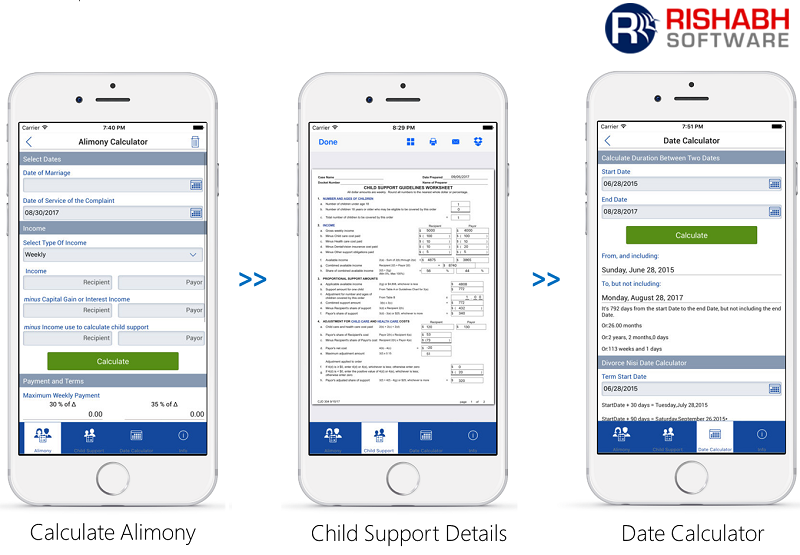 Rishabh Software with its cross-platform mobile application development team implemented the alimony and child support calculator to collaborate, users, lawyers, courthouse for finding accurate case information as per the US law of Massachusetts state. We were given an existing iOS native app which required further feature addition. We leveraged Xamarin cross-platform technology to minimize the development cost, increase device adoption and app usability. Our end customer wanted to leverage the latest technology and solve the resource puzzle by connecting with relevant event professionals and customers. Rishabh Software developed the web-based event planning software solution by connecting the planners and helping event seekers to get the right people for their event. Rishabh Software developed an employee safety and security app to implement precautionary measures for tackling an emergency or SOS situation. We developed a native mobile app for iOS. Rishabh Software proposed to develop an engaging job portal using Drupal 8 that delivers a unique user experience by connecting employers and job seekers on a single platform. The portal will be using mobile first approach and is built using Drupal 8. We also developed the portal to address the companies to post job advertisements targeting the right candidates, and minimize the time to search. Rishabh Software developed an EHR system for a US-based university to familiarize its medical students with EMR and implement planned patient care using OpenEMR. The EMR (Electronic Medical Record) solution features critical components like User Management, Practitioner Management, Patient Management, Scheduling, Advanced Reports, Billing and more. 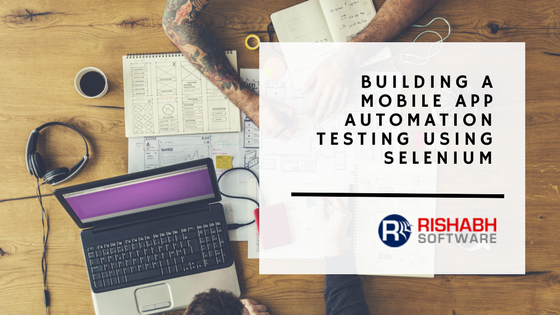 How to automate mobile app testing using Selenium, was the challenge faced by our client working in outdoor advertising. Other challenges faced were to improve time to market for each feature and releases of its enterprise product. The core application developed was evolving day by day and had multiple version releases every week with new features and change in current features. Rishabh Software was appointed as their QA, testing & enterprise application development partner based on the testing & mobility expertise, various skill set, and vast experience in building Automation testing solutions. 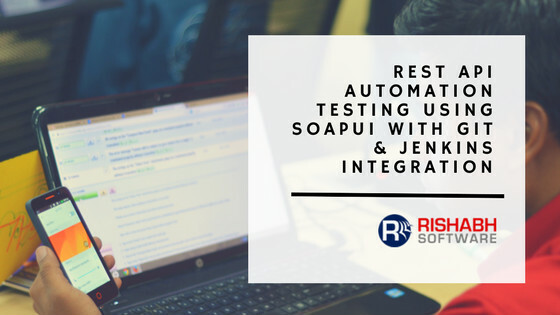 How to automate Rest Web Services using SoapUI to implement automation testing? That was the challenge faced by our client, a 20-year-old business, and technology solutions firm. Other challenges faced were to test its enterprise mobile application which helps enterprise sales forces and individual sales associates to manage productivity better and improve sales operations by organizing their customer data, planning daily sales routes and improving customer relationships. After evaluating several other vendors, the client finalized Rishabh Software as their preferred QA and enterprise app development partner based on the testing & mobility expertise, various skill set, and vast experience in building Automation testing solutions. 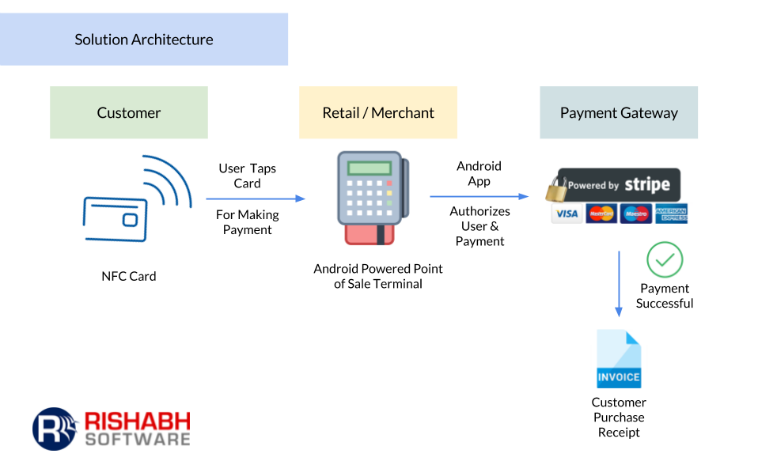 Our Australia based end customer wanted to create the next big wave by implementing an NFC based payment app for its Android-based Point of Sale (POS) terminals. We developed an intuitive radio streaming mobile app using Xamarin for our client who offers live streaming services to its user base of various ethnicity. The objective of the solution is rapid music delivery of popular artists, providing online services to all followers, which would lead to expand the fan base. The client required to build a custom transaction platform which can simplify currency distribution to its global users. The solution should be scalable, intuitive and should meet the global compliance norms for fraud detection, tax evasion and anti-money laundering. A medical employee scheduling software was built for a healthcare client operating across 1000+ hospitals in the US. This healthcare staff scheduling software was built to streamline employee management. 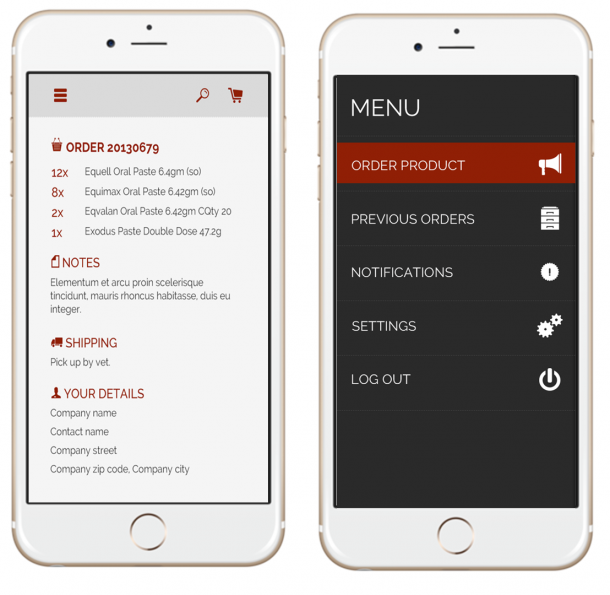 The solution was developed by modernizing the existing legacy staff scheduling application and building a mobile app using PhoneGap cross-platform technology and AngularJS. 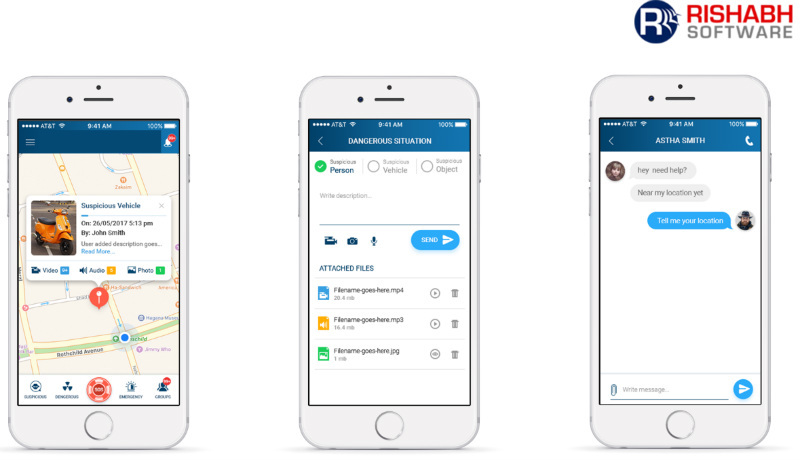 Our client wanted to develop a mobile solution which will allow players to discover and organize nearby sporting events with the provision to invite friends with ease and RSVP. The mobile solution must be intuitive to increase user engagement and notify users with the upcoming events based on their interest in the sport. A scalable mobile solution was built for an educational institute to streamline miscue analysis. This mobile-ready solution was built for teachers looking for a faster, more meaningful way to assess reading fluency. Lexis & Semantics framework was implemented in the custom solution to simplify the assessment process. The custom solution was built using a cross-platform mobile app development framework. Our client wanted to streamline their production planning process with the sales order process to manufacture goods on time and achieve profitability. The client also required a fully automated production reporting system with the primary aim to replace the current manual Excel-based reporting used for daily production goal planning. The system was also used to track and measure production, recovery process against the set goal ensuring optimum utilization of production capability and resources. Our customer was facing difficulties in optimizing sales and decided to create custom campaigns in order to attract more customers. One primary limitation faced in the existing eCommerce platform was increased dependence on technology teams for the creation of custom stores and themes. The client decided to move their existing store built in Magento to Bigcommerce mainly because it demanded no special coding skills for custom campaign creation. 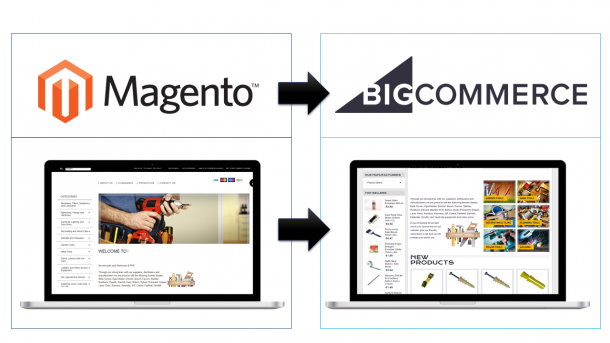 In addition, from a store setup perspective, Bigcommerce was a lot faster than Magento. The client needed a reliable Bigcommerce design & development partner who could help them successfully migrate from Magento in the least possible time. The client required to build an event management solution to manage event life-cycle and execute events successfully. The solution had to be cloud-based in order to be scalable and mobile-ready for user enrollment. 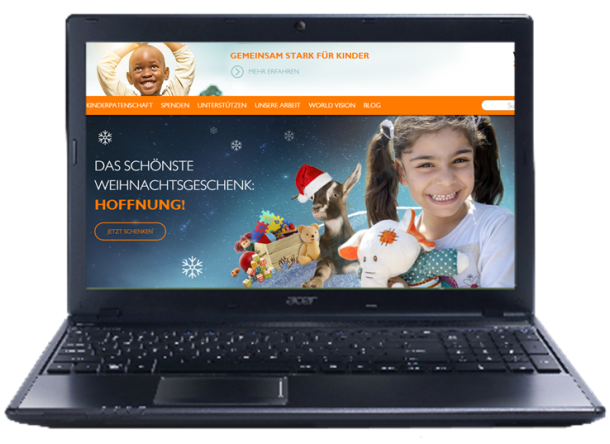 The client required a one-stop portal which could manage their fundraising campaign websites for the US, UK, Germany, Australia, China & India. The solution had to address the technological hurdle of managing multiple websites with numerous databases, and ease the collaboration between stakeholders spread across various locations. A custom iOS news app was developed for a US based client who aggregates & distributes information, to keep users informed about the latest news in North America, Europe & Asia. The mobile solution was built to increase user engagement through personalized delivery of digital content. The solution was developed using Swift, Core Data and PHP. Our client needed a university search/college finder portal that would be an authentic, one-stop source of school-related information for users. Some of the things that the university search engine would help with were: picking the right neighborhood school for high-school students, information about transfers to/from a college/university and other campus-specific data to aid parents/students alike in their decision making process. The solution had to be scalable, high performing and follow the latest UI design patterns to deliver an intuitive user experience. The client needed a DIY (Do-It-Yourself) virtual paint mobile application for consumers to decorate their home, inside and out, choosing the paint brand colors without lifting a paintbrush, ensuring to get the right color at the first attempt. The app must also have an editing tool for anyone looking to remodel such as painters, realtors, interior decorators and landscape designers. The client needed to build an innovative mobile Sales tool that would enable sales teams to keep track of their leads, customers and deliver results by leveraging a mobile solution in a hassle-free way. The solution should have a functional Sales CRM and Reporting tool to deliver a full set of daily, weekly and monthly emailed sales reports to sales managers, helping improve sales productivity and efficiency. The client needed to streamline its contract labor force by leveraging automated workflows and mobile technology to save costs. The client wanted the solution to navigate the decision makers and contract workforce through the ever-changing complex state and federal worker classification rules & regulations. The solution also needed to integrate a set of business processes to optimize employee productivity on both an individual and organization level. The solution required to be built on cross-platform technology and provide scalability and flexibility as the organization grew. It should also support multi-site management to assist one for many work site locations and transient workers. Apart from delivering a unified experience, it should also provide effective document and user management. The client required an eLearning mobile solution for facilitating communication and deliver training. The solution would bridge the gap between top management and trainers for keeping records of the training & educational processes. It should also have an intuitive user interface with user management and collaboration features like chat, video tutorial sharing, skill monitoring, Q&A forumand a logbook. The application should run flawlessly on various iOS, Android and Windows based devices. The client needed to build mixed-mode feedback mobile platform where various surveys can be conducted and real-time questionnaire can be created. The solution should have an intuitive user interface and strong back-end questionnaire engine that would display questions based on the feedback received from the customer, eliminating redundant questions and simplifying the feedback process. The client needed a mall navigation app with a simple and effective way to navigate consumers towards stores. The app needed to deliver retail promotions through location based services when in close proximity to the stores. The user interface needed to be simple and intuitive with a floor-by-floor view to map stores and a directory listing of retailers with their promotional offers. The client wanted to create an integrated location based advertising and social media solution for mobile users. The solution would enable users to leverage location based services and discover offers and deals at nearby retailers through advertising. They can even communicate through social media features like chat and share the offers with their friends. 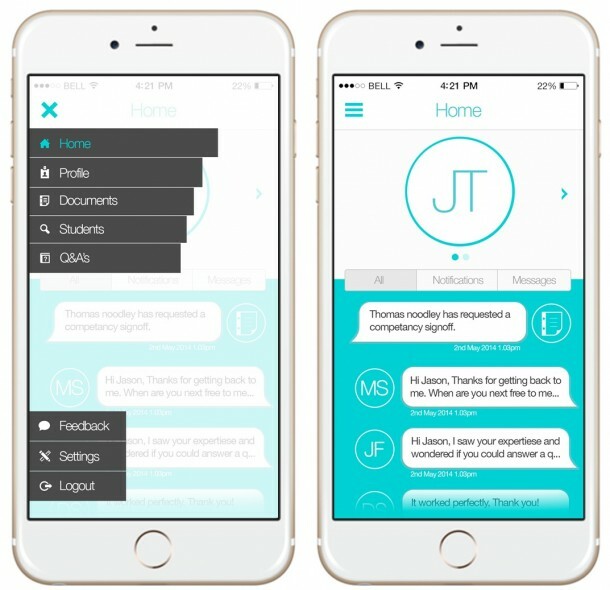 The client needed to build a university mobile application that would help teachers and students streamline communication and deliver course information. The university was looking to facilitate its students with the ease of confirming their class timings, lectures and course information through an easy to use mobile application at the touch of a button. 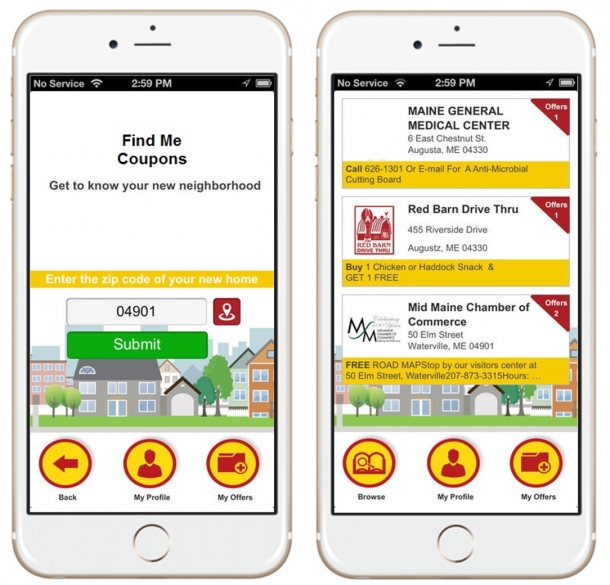 The client required to build a retail mobile solution for distributing various coupons and offers to its customers based on their location. The application needed to run flawlessly on various iOS, Android based devices and also notify users about limited offers. The client wanted to develop an automated solution helping them gain better visibility among frequencies and duration of customer visits made by its sales and marketing teams. The customized solution should provide automated approach to allocate accounts to sales reps and also keep check of their calls and visits. 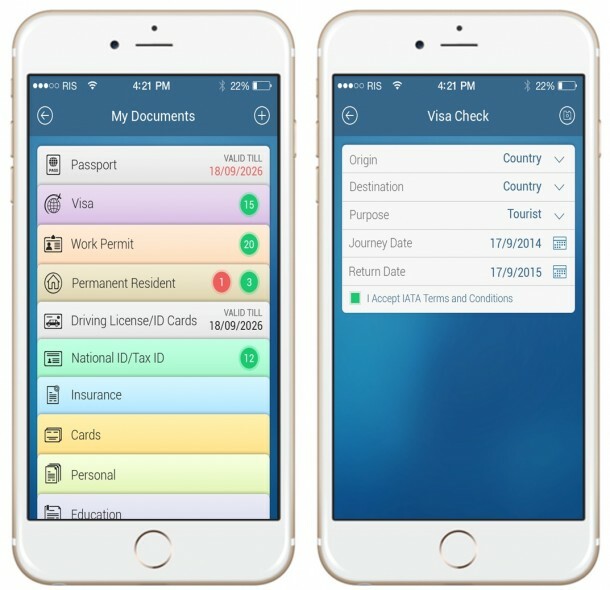 The client required to build a mobile document management solution for managing various confidential travel documents like Visa, Passport, License with greater emphasis on streamlining access. The solution should have an intuitive user interface with added secure encryption engine to safe guard the documents. In addition, it should run flawlessly on various iOS, Android based devices and also notify users for renewal of expired documents. 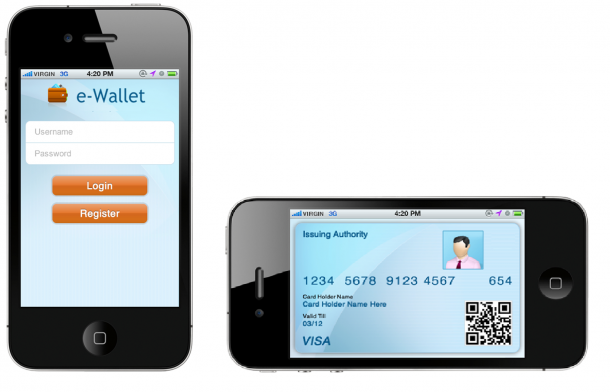 The client required to build a mobile wallet solution to store credit card and debit card information for simplifying mobile financial transactions. The solution needed to have an intuitive user interface with a secure transaction engine for processing various mobile payments. In addition, it should run flawlessly on various iOS based devices and reduce unwanted, illegal and non-traceable payments, by eliminating the use of cash. The client needed a cab booking solution for their fleet of cars. The solution should simplify the cab reservation process to deliver cohesive customer service with operational efficiency by leveraging the cutting-edge GPS technologies. It should deliver premium services in public transport profession including a unified user experience for cab drivers and passengers, enabling them to access and streamline the entire booking process on the fly. The client wanted to develop an automated solution to manage its supply chain and logistics management processes. The solution will be used to plan dispatches and calculate cost of delivery. It would also work in synchronization with the various legacy support systems. The solution also helps to track the dispatch orders in real time. The client wanted to create an integrated solution for Content marketing and Social media marketing with innovative marketing automation feature, delivering continuous and engaging content to social networks. The solution should deliver a unified user experience for engaging prospects/customers, build the social brand and establish strategic influence. The client wanted to develop a centralized sales management solution helping them gain better visibility among regional sales team, regional marketing team and local sales development team. The customized sales management solution should bridge the gap across multiple geographies by showcasing real-time sales information worldwide on its network of operations spanning in more than 100 countries through its widespread network of dealers and distributors. The client, a financial service provider, followed a traditional recruitment process which was time consuming and expensive. Due to high manual operations and complex processes, they were experiencing low efficiency and productivity. The SharePoint based hiring platform simplified the staffing process and improved collaboration within the recruitment team. 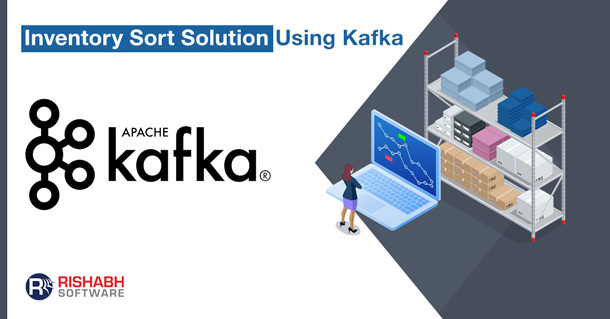 The solution was developed to provide performance management and business intelligence to the decision makers by analyzing unstructured data integrated with multiple ERP systems across US and Asia. The enterprise business intelligence and performance management solution provided accurate information through real-time dashboards, empowering the organization to take right decisions. The client wanted a solution that would specifically manage risk and compliance at the workplace. They also needed a solution that was easily scalable, user friendly and addressed the need for notifying and alerting authorities for organizational health and safety along with extensive reporting. The solution would work as a cloud based platform for supporting small and medium size organizations. The client required an Investigation management solution in its AML compliance program. The investigation management solution automated the process for detecting, investigating and reporting suspicious behavior activities in financial institutes. The client wanted to develop an enterprise wide resource planning solution to improve efficiency in its business operations. The main focus for using an ERP application is to streamline current processes and workflows. With ever-increasing competition in the manufacturing sector, timely delivery of products, analysis of business process and decision-making has become crucial. An enterprise financial organization has multiple internal departments like HR, administration and IT infrastructure, and provides financial services to a wide range of clientele spread across various industries and countries. The SharePoint based helpdesk solution simplifies the business process for support functions in a financial organization, ensuring proper documentation and automate customer service tasks and address customer issues. The client wanted to develop a healthcare solution helping them to simplify the practice management process. Rishabh Software developed a custom healthcare software to match the client’s needs. The solution acted as a common platform for both healthcare and practice management by incorporating features into its business model. The client had multiple suppliers and needed an integrated eCommerce and retail vendor management solution to manage its existing supply chain and improve operational efficiency. The integrated solution simplified the order management process through eCommerce and automated product supply chain through vendor management. The client was using three different types of ERPs and the enterprise data was pushed to the ERP system from various applications. 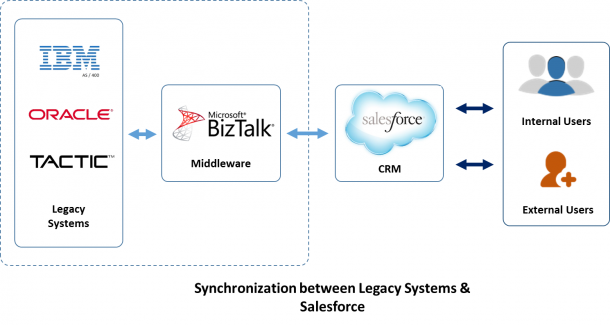 They wanted to start using SFDC as their CRM tool for which they needed to sync their customer list from the legacy systems. The client was working on Epicor ERP system and Magento eCommerce platform to maintain its daily sales and transaction activities. 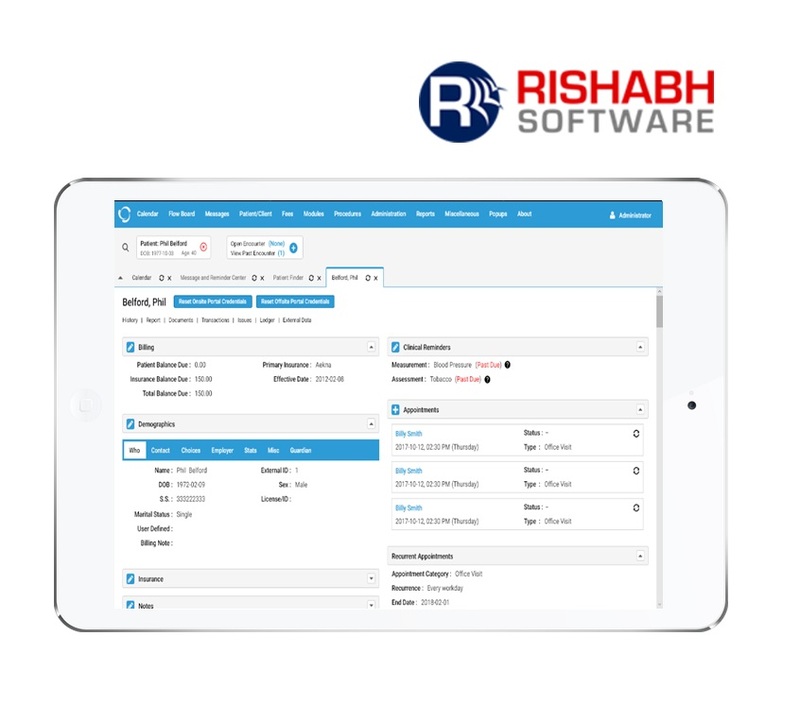 An integration was needed for both ERP and eCommerce applications, Rishabh Software offered to create an integrated Epicor ERP & Magento eCommerce solution to take full advantage of both the ERP and eCommerce features into its business model. The client wanted to redesign its existing insurance website into portal and provide comprehensive information about insurance services and assistance to its customers. The Alfresco based enterprise content management solution streamlined the content publishing methodology and standardized the content framework, helping to simplify the insurance communication process among its 8 million customers. The client wanted to improve its manufacturing and retail operations by adopting cloud technology into its existing legacy platform, which was developed using classic ASP & various other Microsoft technologies. The Java based KYC solution implements AML policies as per the Anti-Money Laundering and Counter-Terrorism Financing (AML/CTF) Act right from capturing robust data during account opening process, enabling risk scoring and entity verification. The client wanted to create a web based portal for tracking multiple assets specifically motor vehicles, with various user functions and provide extensive information about the tracked subject based on GPS.